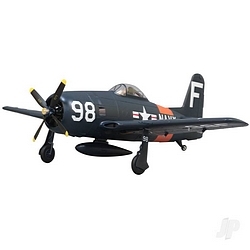 The E-flite® UMX™ P-47 BL model is a warbird designed to satisfy fighter fans who want a scale ultra-micro with gusto. Its lightweight foam airframe features a realistic outline and standout details. Packed inside are a brushless motor and a 2S LiPo ready ESC power system turns a realistic four-blade propeller. With the gear removed, the performance of this Major Howard D. “Deacon” Hively, P-47 tribute can fully come to life yet still offer the ability to land softly onto a grassy corner of the field. Or, you can leave the wide-track landing gear plugged in and use the steerable tail wheel for authentic ground handling. But no matter how you fly, innovative AS3X™ technology makes this warbird perform as if you’re at the controls of a giant scale machine that’s been expertly tuned. 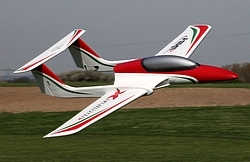 Great handling, awesome performance-this is the ultra-micro warbird you’ve always wanted.